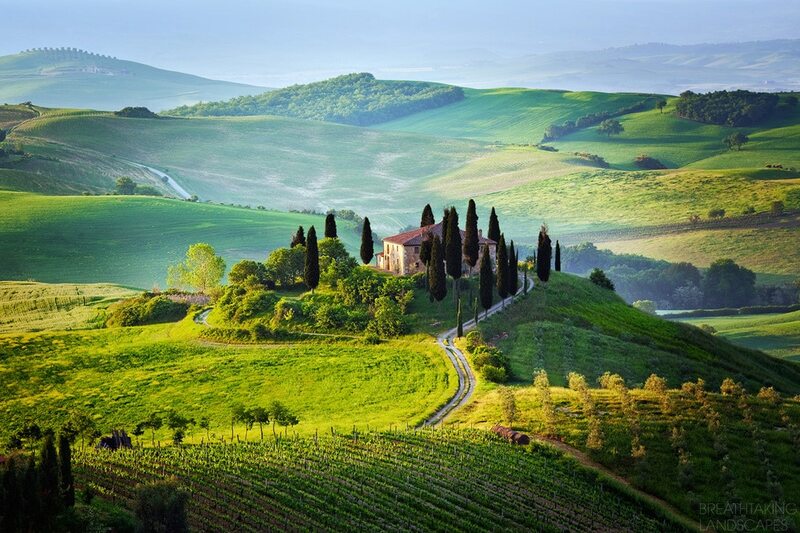 Italy is home to some of Europe’s most breathtaking landscapes. From its stunning Mediterranean coastline to the majestic Alps, all dotted with relics of a rich history, it’s as diverse as it is stunning. If you’re looking for an Italian holiday off the beaten track, surrounded by glorious nature, these tour ideas may be for you. 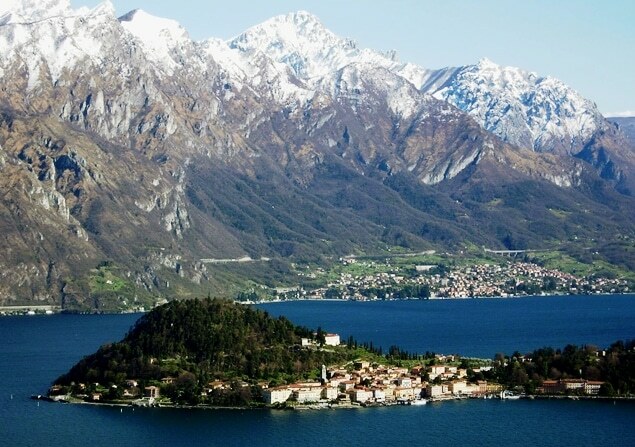 Lake Como in Lombardy has been a popular retreat for centuries, inspiring the poets, monarchs and musicians of the past as well as the celebrities of today. The mild climate and pastel-coloured buildings are quintessentially Italian, while the gentle waves of the calm blue lake make for a relaxing boat tour with magnificent shores on all sides. The true variety of Italy’s terrain is brought to life by the Bernina Express. This train ride takes you up into the snow-capped Alps above Lake Como, with stunning panoramas of crystal clear lakes, towering mountains and deep forests. 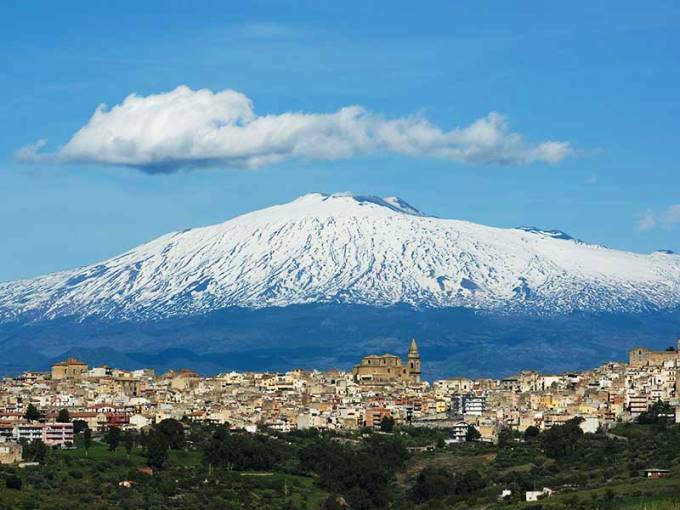 Dominating the skyline of Eastern Sicily is imposing Mount Etna, with blood red and black rocks, volcanic wastelands and a snowy, cloud-shrouded peak. This active volcano can be explored by taking a cable car to near the summit, followed by a guided tour by Jeep and on foot. However, perhaps the best views of Mount Etna are afforded by the small town of Taormina. This picturesque cluster of sun-bleached classical buildings towers 250 feet above the coastline, with views of the sea to one side and Mount Etna to the other. The ruins of an ancient amphitheatre nearby provide a stunning reminder of Italy’s incredible history, with classical music concerts still held in this location today, making for an unforgettable holiday in Sicily. The unrivalled beauty of Europe’s most stunning coastline has inspired visitors for centuries. 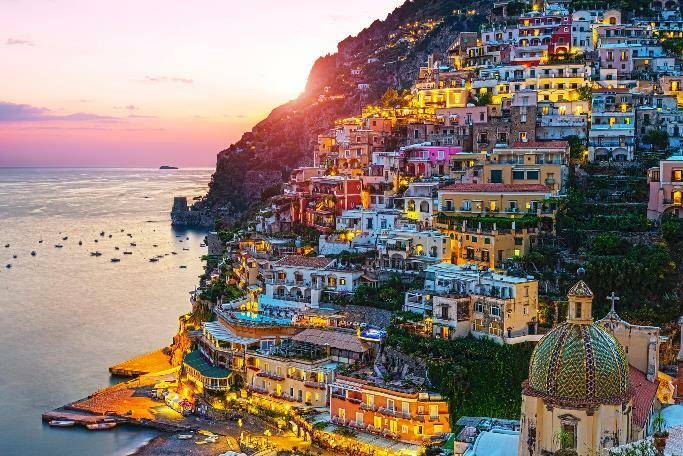 A coastal path takes visitors past forest-scattered cliffs that plunge steeply into the calm blue Mediterranean below, while Amalfi’s charming small cafes offer a chance to relax afterwards. A short boat ride away lies Capri, a place of outstanding natural beauty which is unspoilt by cars. The Giardini di Augusto park offers spectacular views of the deep blue sea dotted with fishing boats, and the Isole Faraglioni limestone stacks. Capri’s Blue Grotto is another natural wonder that has to be seen to be believed. Whichever part of Italy’s stunning scenery you decide to explore, there’s no beating a guided tour. With so much to see and do, it can be hard to fit it all in, let alone knowing the best route to take or finding suitable accommodation. When you book a tour package, every detail is taken care of; so you can sit back and enjoy your surroundings, safe in the knowledge your action-packed itinerary is all taken care of.